Quantum mechanics is weird. There’s entanglement, appropriately dubbed by Einstein as “spooky action at a distance”, that allows two particles to exchange information instantly even if they’re at opposite sides of the universe. 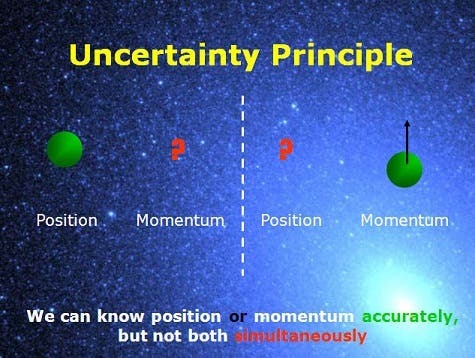 Then, there’s the always pesky uncertainty principle that destroys any chance you might have at measuring a particle’s property after you find its location. 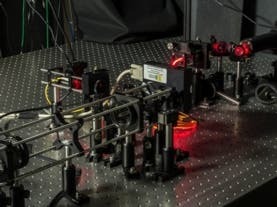 A novel way of measuring a photon’s location that allows physicists to measure its momentum too might come as a game changer, though. During this study, no laws of physics were harmed or broken! Proposed for the first time in 1927 by Werner Heisenberg, the uncertainty principle tells us that there is a fuzziness in nature, a fundamental limit to what we can know about the behaviour of quantum particles and, therefore, the smallest scales of nature. The uncertainty principle says that we cannot measure the position (x) and the momentum (p) of a particle with absolute precision. The more accurately we know one of these values, the less accurately we know the other. Why? It has to do with something innate in quantum physics. At the tiniest scale, particles stop behaving in an intuitive manner – they’re not like everyday objects you see. One key understanding is that a particle doesn’t occupy a fixed position during a fixed moment in time, instead it can exist, at any given time, in an infinite of probabilities. Their chances of being in any given state are described by an equation called the quantum wavefunction. Oddly enough, whenever scientists perform a measurement they cause a collapse of the wavefunction and all other properties escape them forever. But there maybe a nifty workaround. Digital photographs, MRI scans and many other technologies use compression to save space and ease use. A DSLR camera, for instance, typically records a shot in RAW format, then converts it to a compressed jpeg. A new technique called compression sensing works much in the same way, with a key difference: measurements are made while compressing. Engineers use this technique extensively to wind up with more or less the same result but with the minimal amount of measurements. A team of physicists at University of Rochester believed using compression sensing for particle measurement was worth a try. They devised an experiment in which a box was fitted with an array of mirrors facing either towards or away from a detector. A laser shone light on the mirrors, which were arranged to act as a filter – in some places photons would pass across, in other they were blocked. If a photon made it to the detector, the physicists knew it had been in one of the locations where the mirrors offered a throughway. So the filter allows the scientists to measure a particle’s momentum, while knowings position as well. Of course, it’s not the absolute momentum they’re measuring, but it’s pretty close. These advancements are really important if we’re ever to have a working quantum computer – the next generations of computers that exploit quantum fluctuations to generate computing power several orders of magnitude above conventional computers.